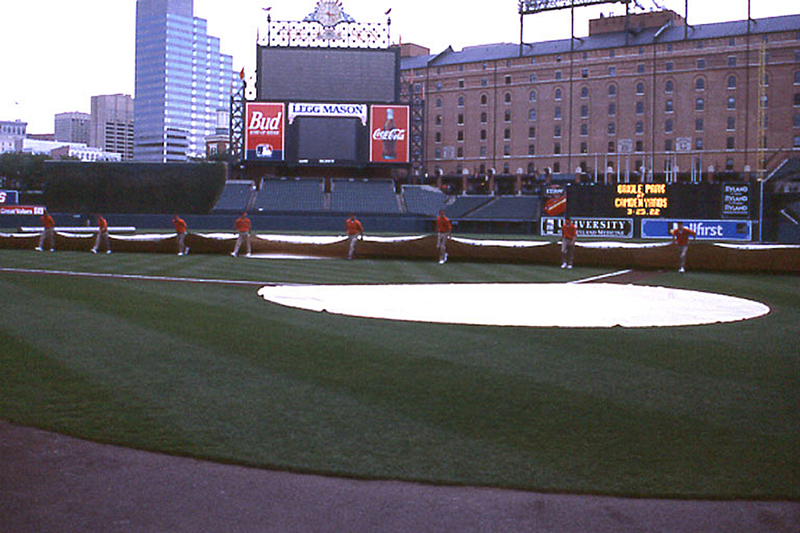 Tarps are great, but they do require manpower to maneuver them around the field. 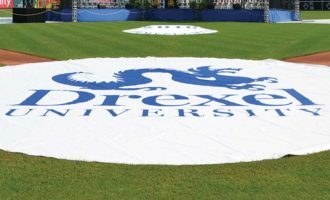 There are various sizes, shapes, and materials to consider when using tarps. 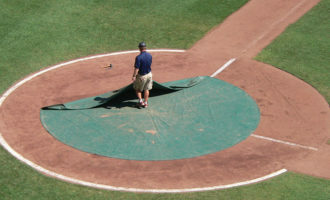 The most common tarps are “area tarps”. 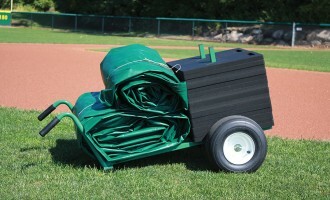 These are used to cover specific areas on a ballfield, such as the mound or home plate area. 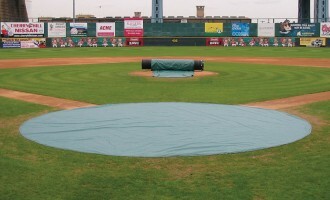 Larger area tarps might cover all of the skinned portion of the infield. 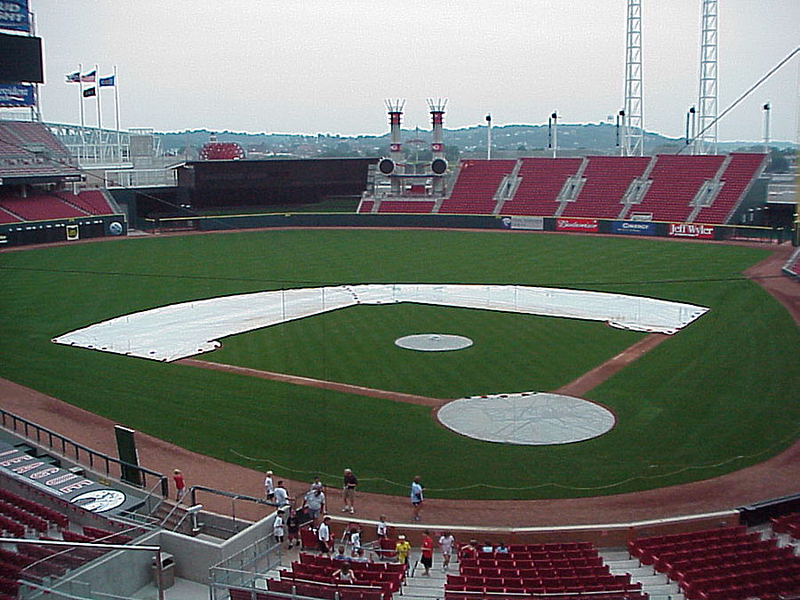 Still others will cover the entire infield — grass and all — for the ultimate rain protection. When you get to tarps this size, you’ll need a sizable crew to deploy and remove them from the field. 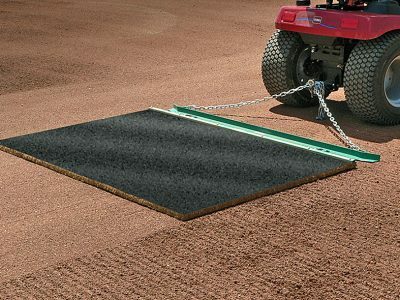 One of these easiest things you can do to help speed recovery of a skinned infield after rainfall is to use a float drag before the rain. After game action the infield is likely all chewed up. 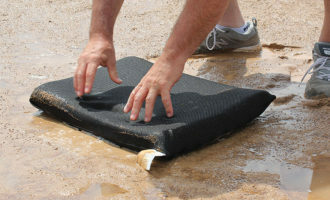 An infield that is not smoothed out ahead of rain can have trouble draining. The divots from feet and cleats, etc., will impede water movement across the infield. Where these imperfections are you’ll have more puddling and more water percolating through the soil creating more soft areas. By simply smoothing out the skin with a float drag, the surface will have no imperfections and water can flow more freely off the infield skin. The idea of scarifying the infield after rain to open up the surface can be a good way to move drying along. However, scarifying before rainfall? Not a good idea. You may end up with a muddy mess on your hands. Some groundskeepers will actually drag even deeper than the recommended 1/2-inch deep thinking this will help expose more soil and therefore give it a better chance of drying. Really, the opposite happens. You end up with more air or pore space, which can quickly fill with water, create puddling, and allow for deeper penetration of water. 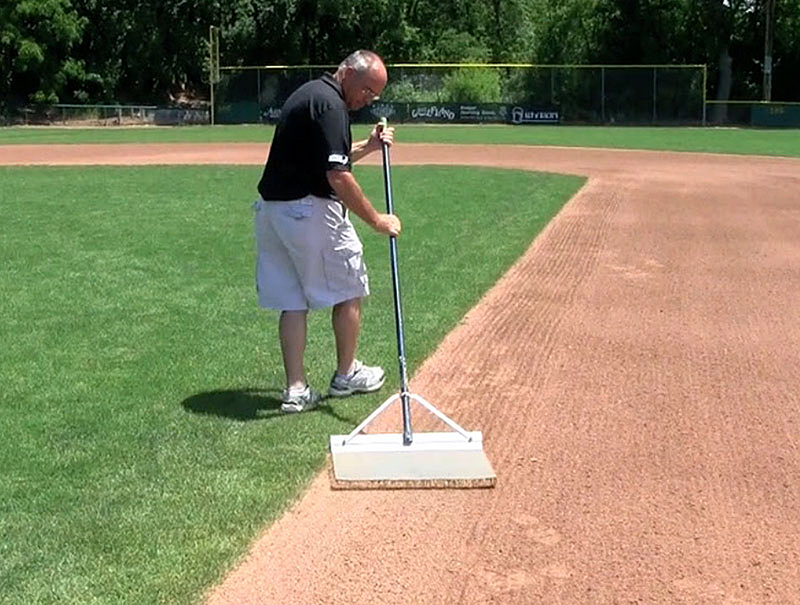 When you are expecting rain, it’s best to keep your infield as tight as possible. 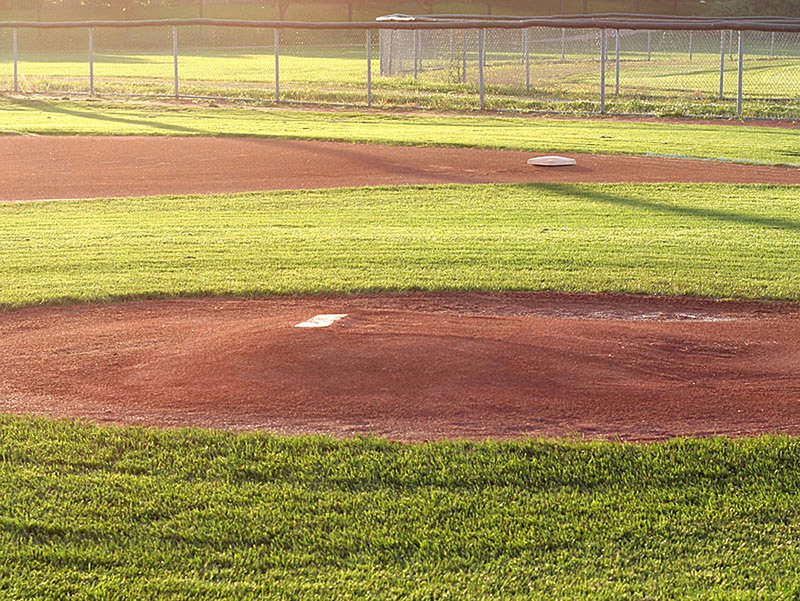 A smooth infield will shed water more efficiently to firm up and dry more quickly. 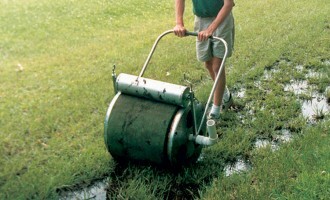 This means avoid nail dragging and, if you have time, use a float drag. 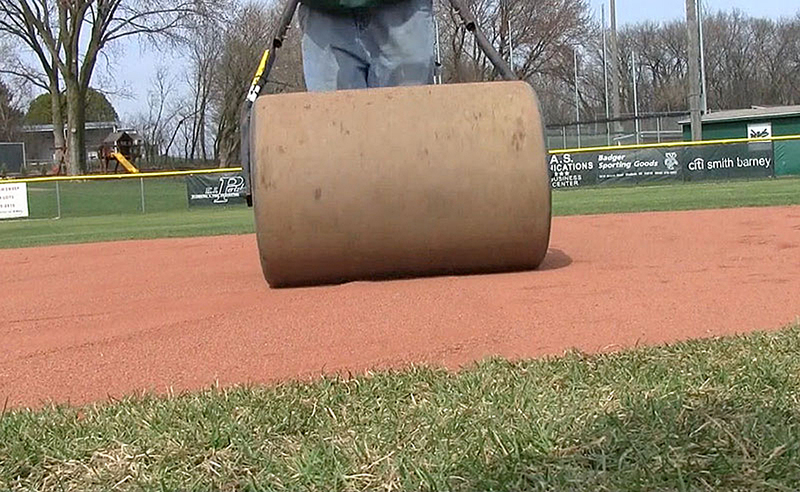 You could even roll your infield skin to increase firmness to improve drainage. There’s only a light rain coming — but there’s a game you just have to get in! 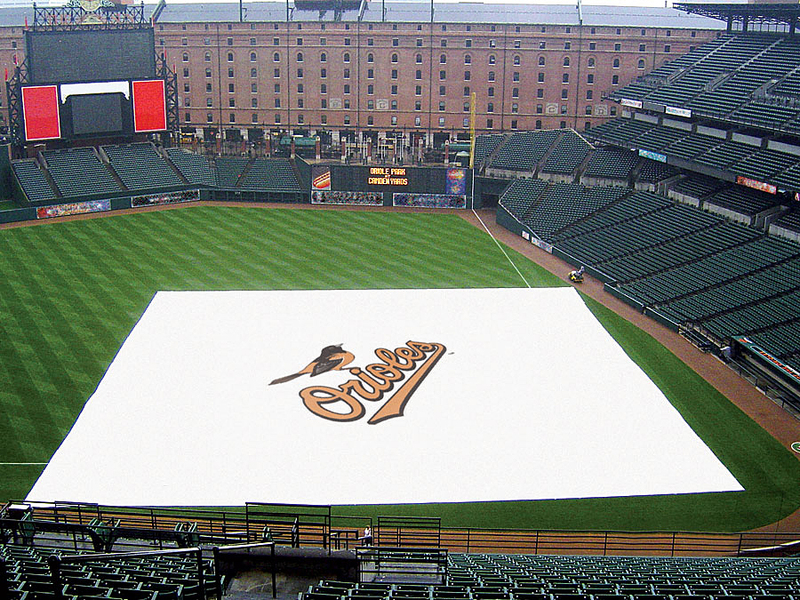 What can you do to keep things playable as the game is played in a light rain? 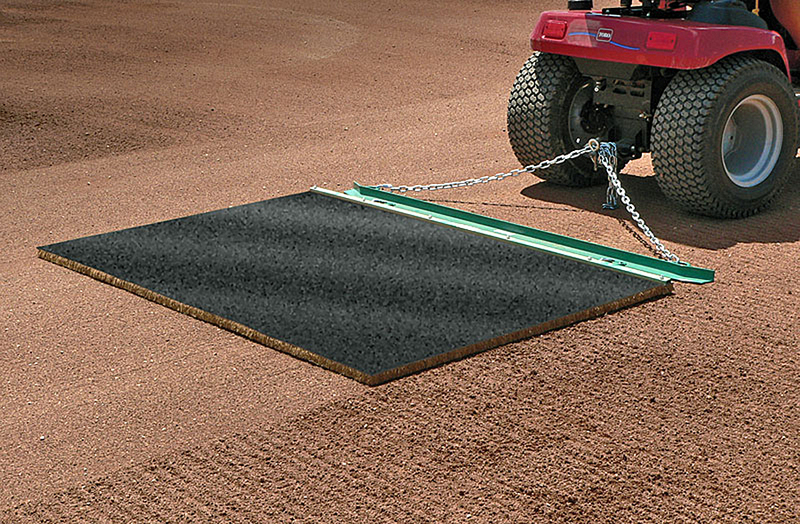 Like we’ve mentioned before, float drag & roll — and calcined clay. 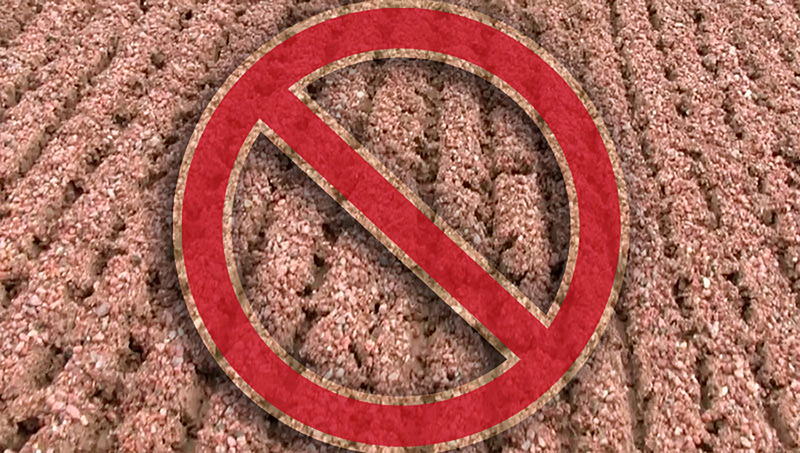 If the infield skin has no topdressing layer, then add 1/8- to 1/4-inch of calcined clay to the surface and drag it smooth. If you already have topdressing, add additional calcined clay using the lesser amount shown below. Adding calcined clay adds moisture absorbing capabilities during a light rainfall and it won’t stick to players’ cleats when wet. So that’s the scoop on rainfall rescues. 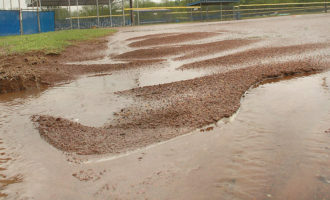 Remember that every infield skin will react differently to rainfall. 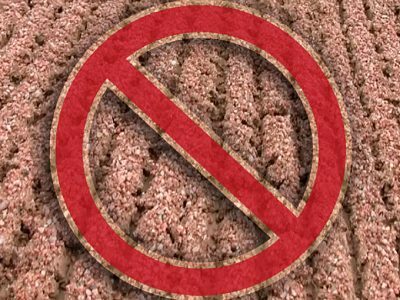 Keep an eye on how your fields react. 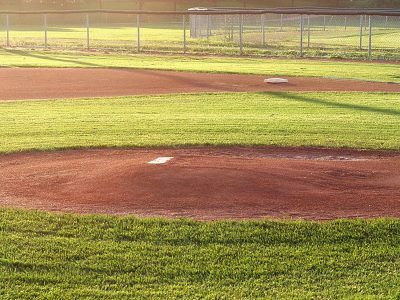 By paying close attention, you can use just the right preventive techniques that will help speed up your work after rain when resurrecting your field for play. 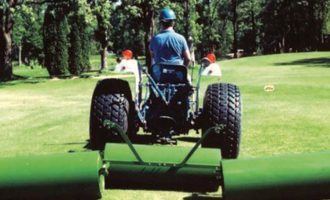 Log in to try this quick Pop Quiz before moving on to another module or before considering taking the Introductory to Groundskeeping Final Exam. 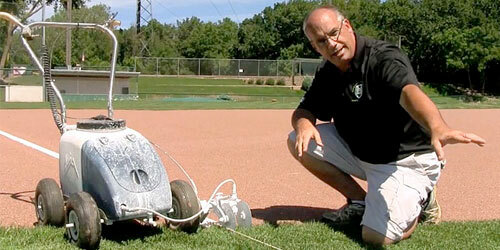 Click here to learn more about certification from Groundskeeper University.